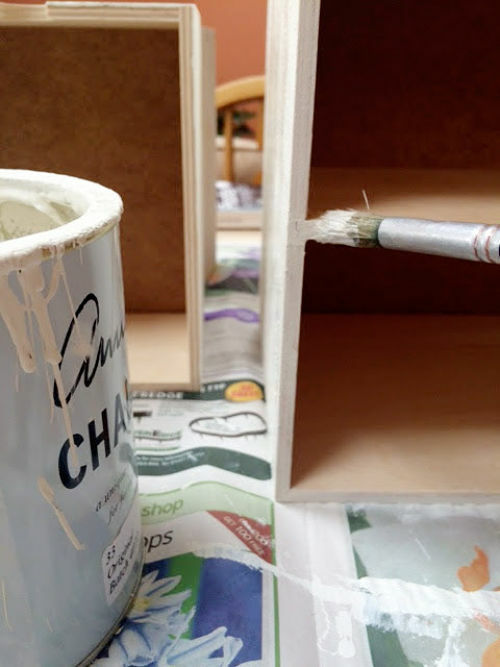 DIY Shabby Chic Mini Drawers – the harriella project. 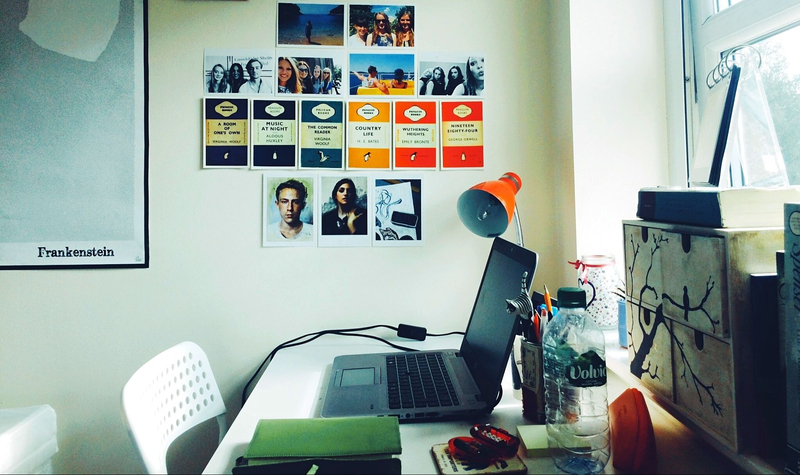 Just before I went to uni, I decided I wanted to make something to personalise my new room (and of course I blogged about it). They’ve served me well throughout my three years at York, so I thought I’d post the tutorial on here! You’ll be pleased to know that it only took a couple of hours, so it’s not the kind of project that takes the whole day or weekend or anything. Even better, you can do this with any piece of furniture you want to turn vintage! Before you start any painting, you’ll want to lay down some newspaper to protect the surface you’re working on. You could do it outside if it’s sunny, but it’s useful to be at a table to get the best stance when you’re rubbing down later on! Once you’re all sorted with your old shirt and your radio blasting, you’ll need to take the drawers out of the main ‘chest’ and coat each one with your chalk paint. I only did the front and sides because I didn’t see much point in doing the inside or the back, but it’s up to you. Don’t worry about being particularly neat – if you miss a few spots then that will only add to the vintage effect. Lay the drawers out to dry and do the same with the actual chest (again, I only did top, sides and the small edging on the front). Leave everything to dry for a while, preferably a good few hours. 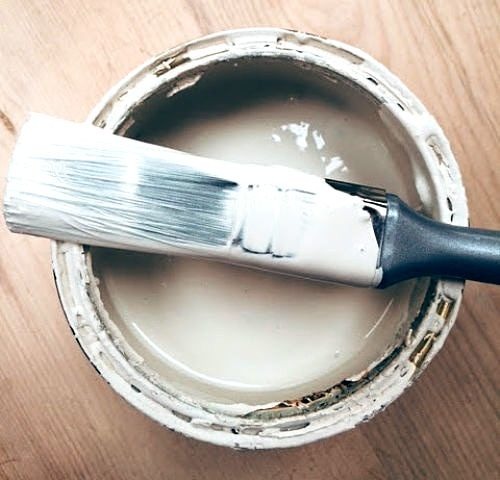 First, take the clear wax on a paint brush or an old cloth and rub it into each of the painted areas of your drawers and chest, almost as though it’s a moisturiser. 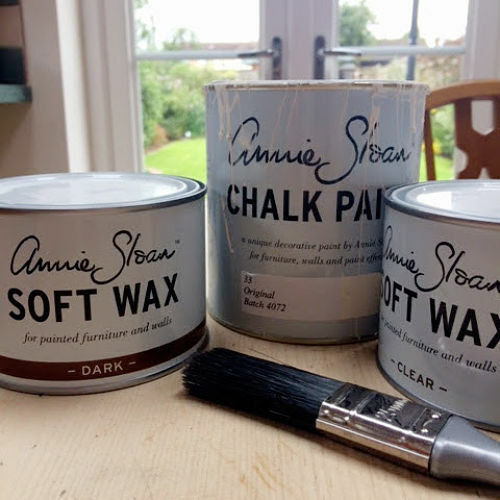 The next bit’s a bit scary, but if you want that shabby chic look then it’s got to be done! 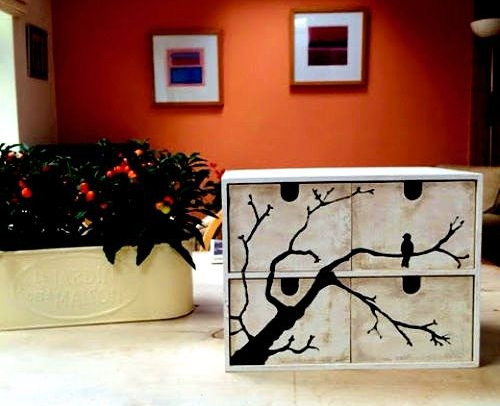 Take the dark wax and paint some onto one of the sides of a drawer. It will look very dark and horrible, but that will all change! Using a dampened rag or cloth, rub in the wax (always going in one direction) so it smudges, making sure you exert quite a lot of pressure. 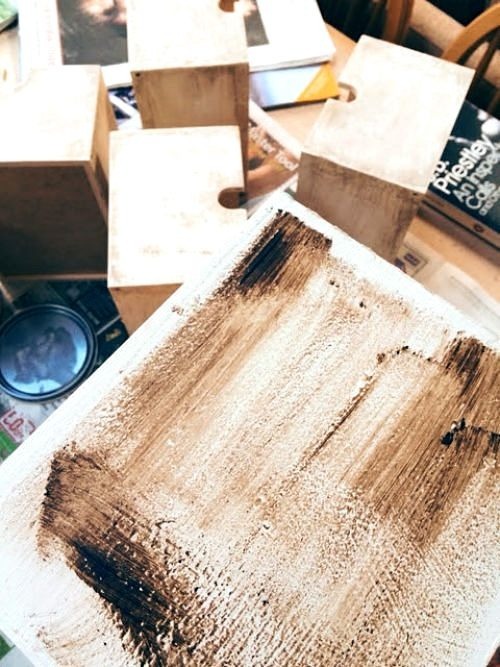 Continue this until you’ve got your desired effect, also using the sandpaper to help scrub off some of the wax so that the white paint, or even the wood, shows beneath. It looks quite good to have darker bits around the edges, but you can create any sort of look you want. Once you’ve done this with each side and each drawer, do it to the main chest, coat everything in the clear wax again and leave to dry. If you like the minimalist look, you could just leave your drawers at that, but I decided to add a design on the front to personalise it even more. Obviously, any design would work, but if you’re not used to painting then keeping it simple is probably the best idea. If you’re unsure, head over to Pinterest and have a look around; that’s what I did! Instead of cracking straight on with the paint, it’s best to measure out the area you want to apply the design to, and then make a paper replica as a sort of template. For mine, I measured the height and width of the chest (from the inside of the border around the edge) and cut my paper to the right size. Then, I measured the height and width of the drawers and transferred all of those measurements on to the paper, which then created the horizontal shelf in the middle as well. 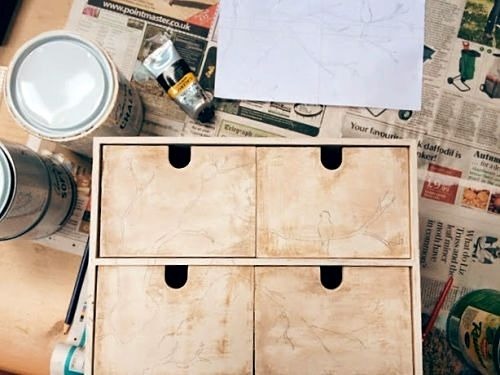 Next, draw your design onto the paper, remembering that you don’t want a complicated bit to fall on the edge of one of the drawers, or on the middle shelf. When you’re happy with it, transfer the corresponding section onto each of the drawers using a pencil. Press quite lightly in case you make a mistake. Once you’re pleased with your pencil outline, you can begin to apply the paint! I used black acrylic straight from the tube, as any water would just be resisted by the wax coating I applied earlier. I’d recommend taking each drawer out and painting it individually, as it’s just easier to work with and I’d use quite a fine paintbrush if your design is detailed. 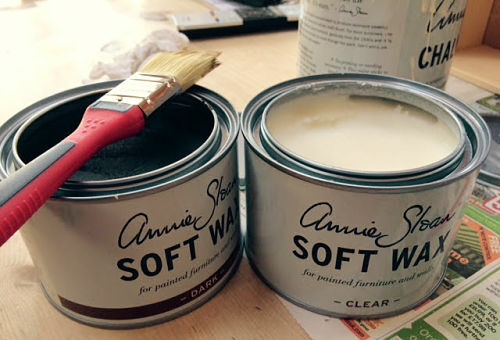 Once you’ve done one layer of paint and it’s dried, you might want to apply another layer to create a cleaner finish. Finally, put all the drawers back into the chest and join up any broken lines (e.g. over the middle shelf). All that’s left to do now is fill your drawers with stationary, make-up, jewellery or anything you fancy!